Register Today! Click Here To Visit Our New KTA-Training Website. Scroll down to see the Full 2019 Training Schedule. This course offers intensive, interactive training for inspectors, contractors, engineers, facility owners, and all those responsible for quality control or quality assurance during industrial surface preparation and coating application operations. The course is recommended for those planning to participate in NACE and/or SSPC inspector certification courses. *All courses taught at KTA Corporate Headquarters in Pittsburgh, PA, unless otherwise noted. Designed for facility owners, engineers, industrial painting contractors, coating manufacturers, inspectors and others, this workshop details the proper procedures for using instruments and visual guides for verifying the quality of surface preparation and coating application work, as well as kits for sampling and testing for surface soluble salts, and kits for testing the adhesion of coatings. The KTA publication, “Using Coatings Inspection Instruments,” 3rd Edition by W.D. Corbett, is included with the workshop fee. Lunch will be provided. 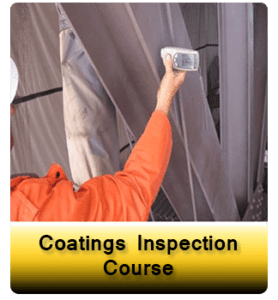 Contact: Debbie Morelli at 412.788.1300 x 187 or email dmorelli@kta.com for more information on Coatings Inspection Instrument Workshop Dates. To assist shops in the successful performance of coating operations, KTA offers an American Institute of Steel Construction (AISC) sanctioned Sophisticated Painting Endorsement (SPE) training curriculum. This curriculum also meets the training requirements for shops seeking SSPC QP 3 certification. Course Topics Include: prerequisites to surface preparation; protective coating types common to the shop; surface preparation and inspection requirements; coating application in the shop; conditions for curing and curing mechanisms; hands-on use of quality control instruments. *To be eligible for CEUs, the participant must attend all sessions, participate in all activities, complete all assignments, complete a written evaluation of the course, and attain minimum required scores on the final written and/or practical examinations.